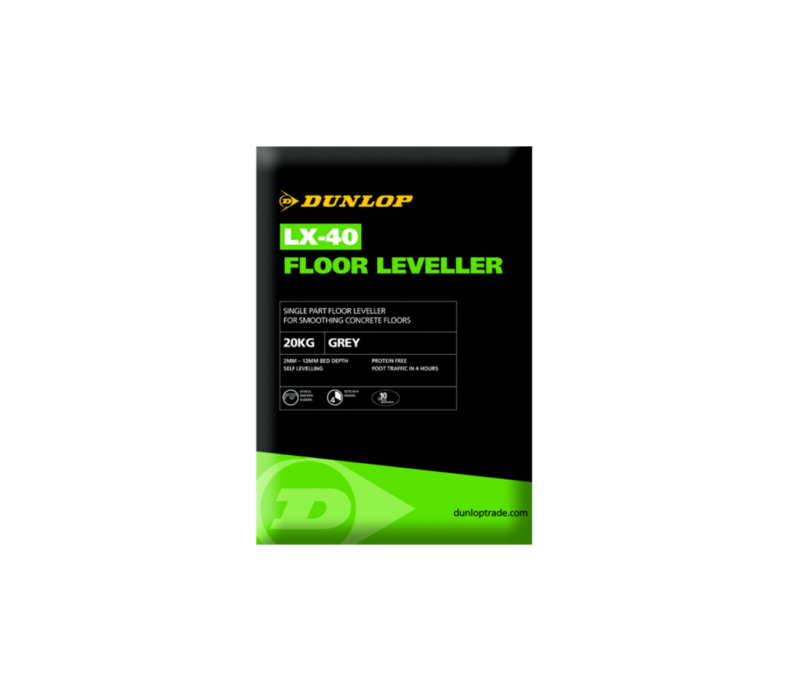 DUNLOP LX-40 FLOOR LEVELLER is a single-part floor leveller with built-in polymer for smoothing concrete floors. This product is suitable for preparing interior floors in dry areas prior to laying decorative floor coverings. It can be used on a wide range of common building surfaces including concrete, cement:sand screeds, terrazzo, quarry tiles and old but sound adhesive residues. It can be laid at depths from 2mm up to 12mm. Depends on the nature and flatness of the surface, but approximately 1.6kg of DUNLOP LX-40 FLOOR LEVELLER is required per mm/m2.